Tyres quietly swish on the motorway, gliding on the smooth surface almost untouched by cars right up to the Czech state border. This is one of the few motorways in Europe that has seen the number of cars using it go down. 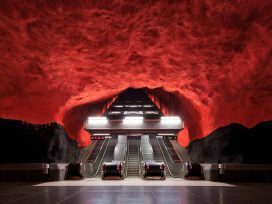 Once it was known for long tailbacks but that was a long time ago, before two nations turned their backs on one another. In 1992, in a touching display of cooperation, these two nations erected two concrete buildings for customs and border officials on the border that they shared. It was as if a river had been artificially diverted into a newly-built canal. The stream of cars that used to flow westwards from Bratislava to Prague has almost dried out, the current now flowing eastwards, into Slovakia’s heartland. Political engineers have succeeded in completing a project of a kind their construction colleagues can only dream of. When the Czech and Slovak Republics entered the Schengen space in 2008, the customs officials vacated their concrete bunkers but the two nations did not reunite. These days the Bratislava-Prague motorway, the first one to be built in Czechoslovakia, only comes alive once you’ve crossed to the other side of the Czech border, near Breclav. Pounded by millions of cars and heavy lorries over the years it is now making our drowsy heads sway fitfully to the rhythm of the minibus as it bumps along on the uneven highway. One of ten Slovak friends of Václav Havel travelling to Prague for his funeral, I recalled an interview in which Havel spoke of his resignation from the office of President of Czechoslovakia in the summer of 1992 – after he realized that the state that the Czechs and Slovaks shared, to which he had sworn allegiance, could not be saved – describing it as the most difficult decision in his political career. The week that passed between Havel’s death and his funeral was one of those peculiar moments that occur only once in a very long while. They are the moments when nations change from an amorphous mass of frustrated individuals into communities posing the existential question of their identity. For the first time since 1989, I witnessed mass gatherings of people showing their desire for a better world and voicing their longing for the “love and truth” embodied by Václav Havel to prevail. 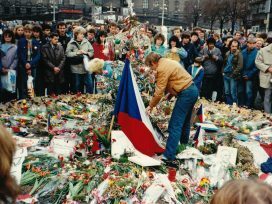 His death sent the Czechs out into the streets and for a whole week transformed this nation of pragmatic ironists into a community of romantics mourning their spiritual king. However, the strange thing was that his death had a similar impact in Slovakia, where the government went so far as to declare a day of state mourning. Slovak society found itself in a schizophrenic situation, saying a heartfelt and tearful goodbye to a man it had abandoned twenty years ago, in exchange for the fulfilment of their longing for an independent state. 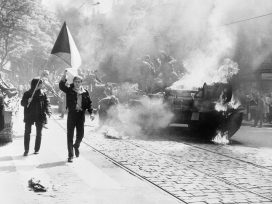 When, on one of his last visits to Bratislava as President of Czechoslovakia, he directed his car to drive past a crowd demanding that the federation be dismantled, his car was nearly overturned by furious nationalists and his bodyguards barely managed to get Havel out of harm’s way. Twenty years later, opinion polls show that the majority of Slovaks have a positive view of Havel, whereas barely 16 per cent today respect the once idolized Vladimir Meciar, who became the “founding father” of independent Slovakia in 1992. What could explain this paradox? Václav Havel seems to have represented something more powerful than the idea of the state. While still alive, he seemed to provide a guarantee that existential evil would be reined in. When he died, both Czechs and Slovaks mourned him because this guarantee was gone. Now they have to weather the full force of the economic crisis, drowning in the quagmire of corruption, at the mercy of politicians they despise and trying in vain to articulate and understand why the developments of the past twenty years have left them so frustrated. In a great historical irony the two nations split in 1992 so that they could go their separate ways, yet ended up treading the same path, sometimes alongside one another, while at other times one would surge ahead only to be overtaken by the other the next minute. They have followed what the other has been doing, sometimes in jealousy or competition, but mostly they have behaved as good friends. The world ice hockey championships are a classic example of this strange relationship: whenever the two teams play each other, each nation zealously roots for its own players, but the minute one of the teams gets knocked out, their fans immediately, and with the same fervent enthusiasm, adopt the one who has stayed in the competition. The astonishing similarity between these two countries, their nature and development, is likely to prompt an outside observer to ask a logical question: what, in that case, was the point of the separation? The answer is simple. The secret of national identity is in the details that escape an outside observer. They are numerous and their causes are varied, ranging from the historical and psychological to random phenomena that may have the appearance of historicity but in fact stem from quite banal causes. The Czechs and Slovaks themselves have surprisingly little insight into these differences, as they are mostly unable to keep up with the developments in their own country, let alone in a neighbouring one. I may be a kind of anachronistic exception in this respect, living as I do a dual Czech and Slovak life. I have two mobile phones, two e-mail addresses, I write and speak in two native languages, have roughly the same number of friends and acquaintances in both countries and, judging by the response, am regarded as a Czech by the Czechs and as a Slovak by the Slovaks. This is the legacy of my Czech parents, who moved to Slovakia before I was born. My father always used to say that one chamber of his heart was Slovak and the other Czech. This heart was broken in 1990, at a time when, with his legendary prescience, he already knew that Czechoslovakia would fall apart. It took me a long time to admit to myself that, in spite of their external similarity, the two nations are, deep down, really different. The two languages, indistinguishable to a foreigner, represent two independent entities in my brain. Czech, historically more ancient and rich, is aggressive and domineering, it conquers the author while ingratiating itself with him, words seem to rush to the lips of their own accord and listening to Czechs speak you feel they are literally revelling in their language and don’t know when to stop. This is a feeling I am intimately familiar with: even if you lack any ideas, Czech allows you to spout meaningless nonsense or lies, and still give the impression of speaking wisely and truthfully – that’s how enthralling Czech is. It has the enormous advantage of a formalized division between so-called common (colloquial) and standard Czech, both versions of which are acceptable in writing, if necessary. The richness of the Czech language, however, is sometimes more of an obstacle than an advantage, and does not make it any easier in and of itself to understand national identity. Havel was right when he bitterly remarked that “talk of Czech national identity often doesn’t go beyond mere chatter”. Perhaps one of the reasons why Czechoslovakia had to split was the fact that the Slovaks felt humiliated by the verbal dominance of Czech politicians, who spoke seemingly rationally but in reality misused their language to suppress the budding Slovak longing for equal rights. Even Havel, one of the few people capable of moulding the Czech language into a most beautiful shape, took far too long to understand the urgency of this Slovak longing. Slovak is soft and melodious and you can tell Slovak women by their voices, which are higher and more delicate. It is humble yet it doesn’t let itself be violated. Of course, you can lie and talk nonsense in Slovak, too, but thanks to the sobriety of the language you are soon found out and your words turn into embarrassing drivel. Lacking a written colloquial form like Czech, Slovak imposes discipline and accuracy on the speaker. All attempts to introduce regional vernacular (almost non-existent in Czech) into the language have failed since they were more reminiscent of textbooks on folk culture than of fiction, while urban slang has not yet taken root since it is developing at such a furious face that its expressions age within a few years. One of the reasons I have written this text in Slovak was to make sure I don’t delude myself. Similar profound and historically conditioned differences apply to the attitude to nature. My Czech parents loved Czech spruce forests and my mother was always particularly happy on our mountain hikes to see them so “tidy”. This is because the Czechs regard nature as part of their human world and demand that it be humble. That is why, by the nineteenth century, they had eradicated all their bears and wolves. They keep the remaining animals, such as deer, for meat in enclosed areas they have dubbed “reserves”. Not even the most ardent Czech environmentalists find these enclosures for wild animals perverted in any way and they were surprised when I explained that a similar practice would be unimaginable in Slovakia. By contrast, the Slovaks regard nature as a separate, independent world that belongs to animals and is dangerous. Nowhere in the Czech Republic will you find a place where nature poses a threat to your life, whereas in Slovakia it is enough to venture a kilometre out of a village or a city to find yourself in deep woods where the bear is king. This mixture of respect for and fear of nature may also be one of the reasons why the Slovaks are more aware of their own parochiality, of being limited by other worlds, and why, despite their proverbial emotionality, they are much more realistic than the Czechs. Living in deep valleys surrounded by menacing mountains has made them understand much better their lot of being on the periphery and being able to survive only through loyalty to a distant centre of power. This loyalty is the destiny of a small state on the margin of the European Union, whose centre is located far to the west. That is one of the reasons why they have adopted the euro and have done their damnedest to prove themselves a reliable member of the European community. 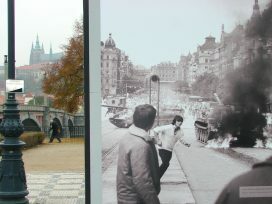 Unlike Václav Havel, most Czechs, evoking the Hussite tradition of rebellion, have not realized they are just as parochial as the Slovaks and have behaved like the Brits, living on an imaginary island they created in their image, having expelled everyone who threatened to ruin it, from bears and wolves to the Sudeten Germans. This is why they are among the most ardent opponents of the European Union into which Havel pushed them. The number of these historical differences is greater than I used to admit, in my reluctance to accept the existence of a “national character” as a concept that smacks of nationalism. Presumably Václav Havel did not admit these differences existed either, as they ran counter to his notion of a universal essence of our being. Even now I feel as if I were venturing into forbidden territory, yet who else, if not me, is entitled to compare Czechs and Slovaks without falling under the suspicion of favouring one or the other? Something quite characteristic happened when before the funeral we – Havel’s ten friends – dropped in at a café near Prague castle for a coffee and a shot: one of us picked up the whole tab and we all said thank you. This is something I’ve hardly ever experienced with my Czech friends and although Czech pubs are famed for their cosy atmosphere, everyone typically pays only for themselves. This difference in the attitude to money and its role in life is widely known, and the Slovaks regard the Czechs as pennypinching scrooges. Yet statistics show that Czechs contribute more to charity than Slovaks. The fact is that the Czech attitude to money is just another expression of their profound faith in the functional essence of civilization, based on a rational organization of society (without God). And the Czechs’ ability to organize their life and the country can be astonishing. The country is interspersed with a dense network of roads and you rarely walk for more than three kilometres before reaching a village. In Slovakia, which is significantly smaller, you might wander for many miles in the mountains and not come across a living soul, let alone a village. Compared to Slovakia, I am always stunned at how perfectly everything works in the Czech Republic. It was no accident that the economy kept running smoothly in 2006, when the Czech Republic had no legitimate government for six months. Nevertheless, there is one thing, quite unusual for central Europe, which the Slovaks and Czechs have in common, in spite of the obvious difference in their attitude to money. Their experience from the 1920s, when Czechoslovakia was famous for its strong currency, has instilled in them the idea of strict fiscal discipline which is regarded as the government’s historical obligation. It is no coincidence that Czechoslovakia’s communist regime – unlike those of Poland and Hungary – left very little debt behind. Similarly, no prime minister since 1989, Czech or Slovak, has dared to increase debt beyond a reasonable level. However, the Czech skill in organizing society also entails some risks, including the fact that they do not feel a strong need for reform. Twenty years of independent development have brought about a surprising phenomenon: institutionally, Slovakia is a more modern state than the Czech Republic. While the reasons for this development seem to be accidental, in fact there is a logic to them: in order to survive, Slovakia, with its traditionally less efficiently organized society full of internal contradictions, needs better governance than the Czech Republic. The Slovaks experienced this at first hand during the six years it took to get rid of the authoritarian Meciar, who had brought the country to the brink of collapse. The Czechs, on the other hand, enjoyed a seemingly ideal transition to democracy and capitalism in the 1990s and are only now beginning to realize how right Havel was to criticize “Mafia capitalism”. In terms of their institutions the two countries had the same base line, as Slovakia has literally inherited most of the original constitution adopted before Czechoslovakia split up. However, following Meciar’s fall enormous changes started to take place in Slovakia’s political system. Unlike the Czechs the Slovaks can now elect their mayors (as well as the country’s President) by direct vote, which has curtailed the excessive power of the political parties; the country has been more profoundly decentralized and the prosecutor’s office has been separated from the executive (the Prosecutor General is elected by parliament, whereas in the Czech Republic he is appointed by the government). In the fight against corruption Slovakia puts greater emphasis on transparency: all state contracts with private companies have to be published on the Internet and for the past ten years anonymous firms have been banned from trading their stocks. In the Czech Republic most companies that are awarded state tenders still have undisclosed owners, many of whom are undoubtedly politicians. In Slovakia the fight against the grey economy has even managed to override the traditionally more relaxed attitude to money mentioned above. In a Czech pub, a waiter will typically add up your bill on a scrap of paper and you have to rely on his maths skills. On the other hand, even in the remotest corner of Slovakia, if you order a beer you will receive a proper receipt from an electronic cash register. The Slovaks introduced these registers ten years ago as part of the fight against tax evasion, while the Czechs still keep making excuses, claiming this form of oversight is too expensive. I could list many more similar examples but the fact remains that most of them ensure a better democratic framework in Slovakia than in the Czech Republic. So how come in both countries the extent of corruption is actually roughly the same and people are equally convinced that the system is unjust? It’s simply because the Czechs make up for the lower quality of their legislation with higher quality among their elites. For example, the Czech judiciary, which is in principle less dependent on politicians than its Slovak counterpart, enjoys a better reputation due to the judges’ strong personalities, by comparison to Slovak judges, who have abused their independence to create a closed and deeply corrupt edifice. The differences in the developments of political systems, and their reflection in such trivial matters as electronic cash registers, are evidently the result of larger social processes and to examine them would provide material for several books. But there are also other differences, whose causes may at first sight seem quite banal. Every time I go to buy a newspaper or cigarettes in the Czech Republic, I notice that I can look the man or the woman in the kiosk in the eye and sometimes exchange a few words, even though we don’t know each other at all. The Czech newspaper kiosks resemble little houses with a huge open window from which the salesperson observes the world and tries to attract customers. In Slovakia, by contrast, they hunker in their dark kiosks, hidden behind glass with a small opening through which an impersonal hand pushes the newspaper and takes your money. Is this striking difference a sign of cultural differences or an accidental circumstance? I’m not sure. The only obvious reason is the fact that in Slovakia in the 1990s the newspaper distribution monopoly was seized by a Mafia entrepreneur who flooded the country with standardized kiosks turning them into armoured fortresses, as befitted his own character. In the Czech Republic, the distribution of newspapers was subject to fierce competition, which created a model responsive to the needs of customers. However, the reasons for this strange difference may go deeper. While it is true that the newspaper kiosk is a shared legacy of the Austro-Hungarian monarchy, when war veterans were rewarded with the right to build small kiosks for selling newspapers and tobacco to make a living, in the Czech lands the kiosk became something of a national institution (although in Prague they are now mostly run by Russians). It has never taken such deep root in Slovakia, partly because the first decent Slovak newspapers did not appear until the twentieth century. To this day there is a dramatic difference between the circulation of Slovak and Czech periodicals. Although there are almost exactly twice as many Czechs as Slovaks, the newspaper market in the Czech Republic is four times larger than in Slovakia. It is, therefore, quite possible that the pleasant openness of Czech kiosks is a reflection of a significant cultural difference, rather than due to the character of a single Slovak enterpreneur. In spite of these and many other differences, after twenty years of development the two countries have reached, via a number of detours, a stage when they are the spitting image of each other – especially when observed from an overall central European perspective. I am also puzzled by this and put it down, among other things, to historical circumstance. The fact is that, in spite of their differences, the two countries share one profound experience: their history is overwhelmingly a history of plebeians. Neither has ever regarded aristocracy as their national elite and following the foundation of Czechoslovakia in 1918 both countries hastened to get rid of most their aristocrats, regarding them as hostile, i.e. Austrian, German or Hungarian. Thus the absence of a great and illustrious history has enabled the Czechs and Slovaks to focus on practical state-building based on the standardized manual of democracy, which has also prevented society from becoming too divided. 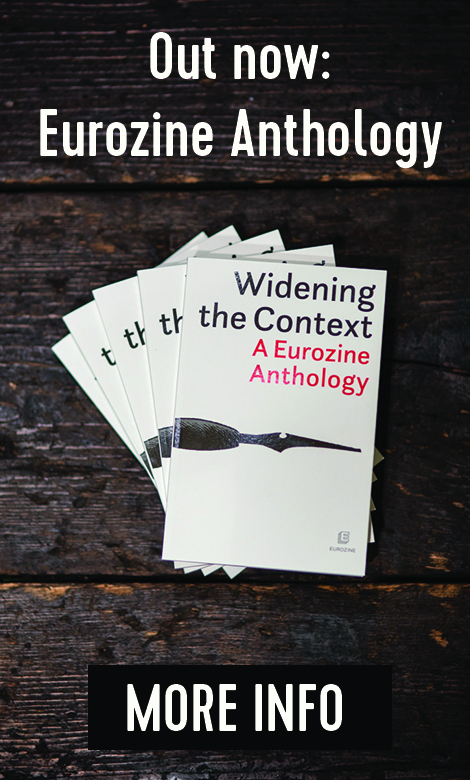 Suffice it to look at the impact historical arguments have had on politics in Poland or Hungary, where they have created deep chasms in society along the tectonic lines of relatively recent history. It is no coincidence that over the past twenty years no professional historian has risen to prominence in Czech and Slovak politics while in Poland and Hungary historians have formed a key part of the political elite. However, Václav Havel’s problem was that as an exceptional Czech he justly came down hard on his fellow-countrymen but he didn’t dare to criticize the Slovaks whom he didn’t know so well. In 1992 I reproached him for having abandoned the Slovaks and taking on the post of Czech President six months later. Today, I know there was nothing he could have done to stop Czechoslovakia from falling apart. After all, it wasn’t because I had loved Czechoslovakia so much that I mourned the demise of the common state. Communism has taught me to keep my distance from the state. What made me so sad was seeing the rise of nationalism, the mass hysteria nations emit from time to time like a haunting spectre. Separations were fashionable in the early 1990s, and these days they are getting quite trendy again. The European Union is held together by a thread, pulled asunder by the same negative emotions I experienced when Czechoslovakia fell apart. We hear the same recriminations regarding who is getting the short end of the stick and the same calls for sovereignty. Every day is a déjà vu, including the frustrating realization that people are bringing about this disintegration even though they don’t want it, just because they lack imagination. In the early 1990s, nobody could really imagine that Czechoslovakia would actually fall apart, just as today almost nobody is prepared to admit that the European Union may cease to exist as soon as tomorrow. Nations behave like a child who drops a glass with milk on the floor just to find out what happens, and then is astonished by the mess it has caused. However, the happy ending of the story of Czechoslovakia’s disintegration, that might serve as an eurosceptic textbook for the peaceful dismantling of the European Union, is purely illusory. People tend to forget that the only reason these two nations parted so smoothly was that they shared a common desire to be reunited within the European Union. I wouldn’t even dare to guess how relations between the Czechs and the Slovaks might have developed had they had to pass the test of ruthless geopolitical games without the safety net of the EU. Having lived a dual life, I can’t tell whether I am more Slovak or Czech. However, what I do know is that I wouldn’t bet a euro on the ability of these two separated nations to withstand a geopolitical crisis that might follow the disintegration of the EU. The only way they could manage it would be by reuniting, whatever form that new union might have, but that would require them to admit that splitting up was a folly, bred by the delusion of “the end of history”. However, one thing these two nations do have in common is their small size. And from this small geographic size follows the smallness and parochiality of their political and intellectual elites. The fact that Václav Havel towered above them so dramatically is just the exception that proves the rule. On the other hand, if these two nations were able to honour and love Havel, they may not yet be entirely lost. Six months after the election, the Czech Republic is still without a confirmed prime minister. 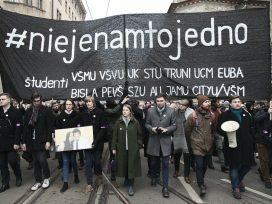 And more than two months after the murder of a journalist and his partner in Slovakia, there is no reported progress in the investigation – but politics there remains in turmoil. Zuzana Hudáková surveys the scene.